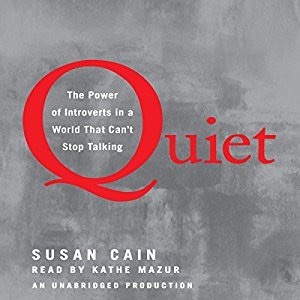 QUIET: The Power of Introverts In a World That Can’t Stop Talking by Susan Cain (© 2012, Crown Publishers: New York, NY) tells the story of how being introverted has its advantages and how the extrovert ideal is overrated. Learn how forced collaboration can stand in the way of innovation, and how the leadership potential of introverts is often overlooked. This book is passionately argued and draws on cutting-edge research in psychology and neuroscience. Leaders, educators, and parents need to pay attention to Cain’s findings. 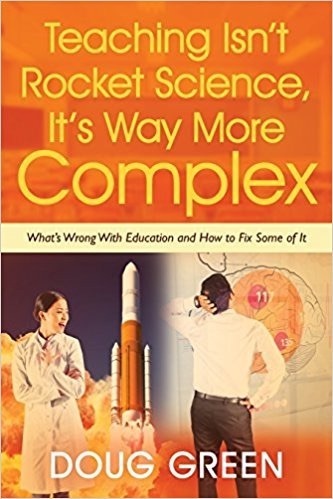 Also check Susan’s TED talk.Click the icon below to purchase this vital book from Amazon. Before she became a writer for outlets like the New York Times, Susan practiced corporate law for seven years, representing clients like JP Morgan and General Electric, and then worked as a negotiations consultant, training all kinds of people, from hedge fund managers to TV producers to college students negotiating their first salaries. Her clients have included Merrill Lynch, Shearman & Sterling, One Hundred Women in Hedge Funds, and many more. She is an honors graduate of Princeton University and Harvard Law School. She prefers listening to talking, reading to socializing, cozy chats to group settings, and likes to think before she speaks (softly). She has never given a speech without being terrified first and explores this paradox in this book. Rosa Parks Was an Introvert. If Rosa Parks wasn’t an introvert, she may not have made such a big stride for racial equality. Susan starts with this story that shows how the extrovert Martin Luther King was able to use Parks’ example. Studies tell us that 1/3 to 1/2 of Americans are on the introvert side of this spectrum. There is no such thing as a pure introvert or a pure extrovert. Unfortunately, we live in a value system she calls the Extrovert Ideal. This results in parents apologizing for shy children who feel there is something wrong with them. In addition to Parks, Cain lists many other famous introverts. Extroverts tend to tackle assignments quickly. They make fast (sometimes rash) decisions and are comfortable multitasking and risk-taking. They enjoy the thrill of the chase for rewards like money and status. Introverts often work more slowly and deliberately. They like to focus on one task at a time and can have mighty powers of concentration. They are relatively immune to the lures of wealth and fame. They prefer environments that are not overstimulating and 70% are also sensitive. They may be shy, which is a painful condition, but introversion is not. Cain provides a 20 item true/false test so you can determine where you are on this scale. I answered 16 items on the introvert side, which helps explain why I love doing DrDougGreen.Com. This entry was posted on Thursday, April 19th, 2012 at 8:22 pm	and is filed under Book Summaries, Business Books, Education Books, Leadership Books. You can follow any responses to this entry through the RSS 2.0 feed. You can leave a response, or trackback from your own site. I go to school in Canada and we just now are learning about this in the classroom. Thank you for helping me with the conclusion of my report.